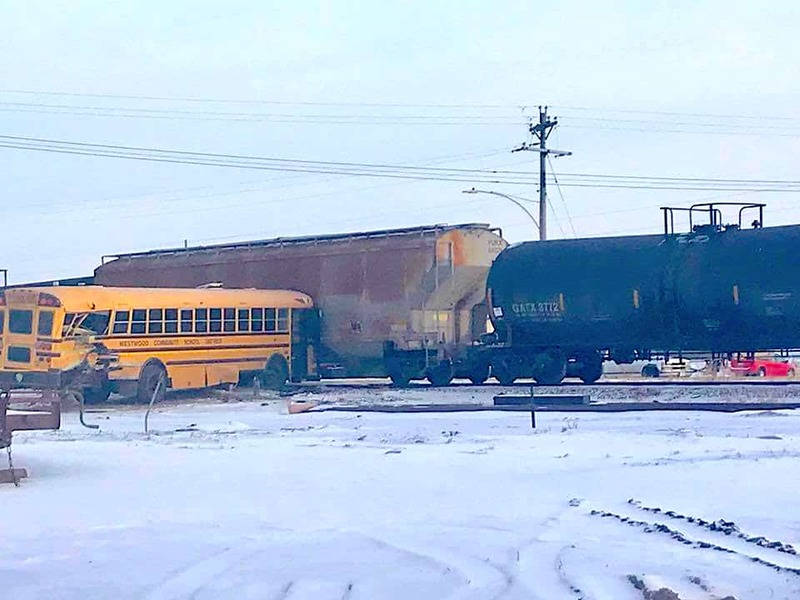 A Westwood Community School District bus stalled on railroad tracks southwest of Sioux City, Iowa and was struck by a train. The bus driver and only student on board evacuated safely before the collision. The Woodbury County Sheriff’s Office said the school bus was crossing the railroad tracks at 275th Street, when the bus stalled and was unable to move off the tracks. But the bus driver and student on the bus had enough time to exist the vehicle prior to the Union Pacific train striking it. The bus driver, student and the train conductor were all uninjured. The bus was struck near the rear end and was spun around approximately 180 degrees. Jay Lutt, PK-3 principal and superintendent for Westwood Community School District, told School Transportation News that the bus “gelled up” while it was crossing the tracks. The Iowa State Patrol is conducting the crash investigation. This is the second incident involving a Union Pacific Train within the past month. On Jan. 25, a Union Pacific train struck a school bus in Texas. One student died, and another was critically injured in the crash.